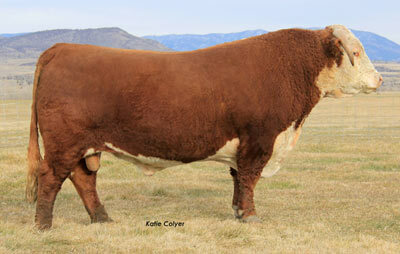 Top selling bull in the 2012 Cooper Hereford Bull Sale. 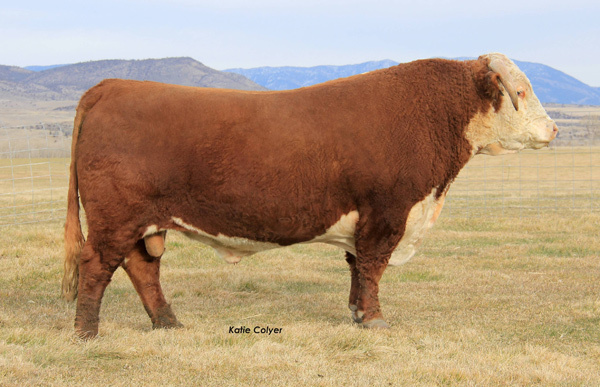 This stylish, medium framed bull is smooth through the shoulders and carries loads of natural thickness and muscle through his quarter. 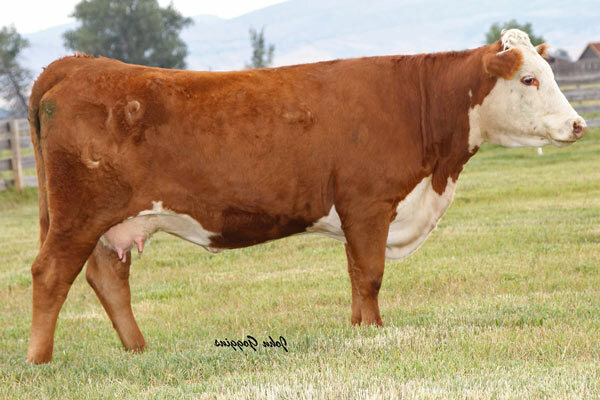 He is the complete package, combining calving ease, performance, and maternal power. 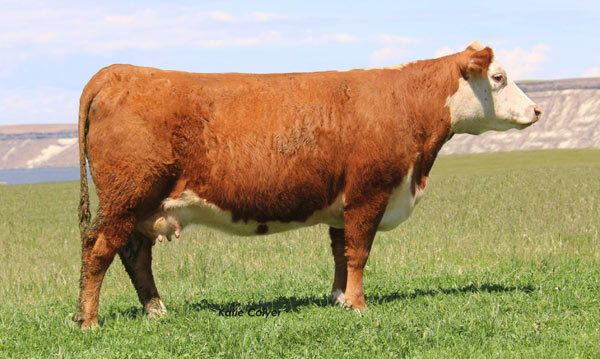 Dam, "9140W" is short marked, red-necked "732T" daughter with 100% pigment. She ranks in the top 1% of the breed in MM 37 and M&G 63. Scanned a 13.67 inch REA and posted a 1.14 REA/100 lbs.